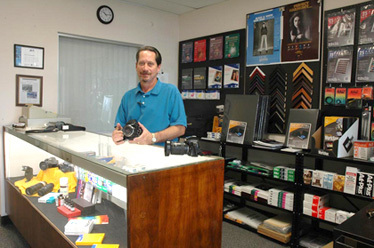 Aero-pic has been servicing NE Florida and SE Georgia’s photographic needs since 1950.We offer a full line of photographic supplies and services. Aero-Pic is recognized as a leader in real estate, legal, scenic and surveying aerial photography in the Southeastern United States. We also provide location and studio commercial, architectural industrial, marketing, advertising and product photography. We maintain the largest stock photo files of Northeast Florida dating from the 1950’s to present. All work is still completed in our own custom color and black & white photo labs. And in keeping with the current technology, we offer custom digital photography, digital imaging, digital photo restoration and digital printing services. We’ve also expanded our services to include custom framing, mounting and laminating. Proudly Serving: Atlanta, Jacksonville, Miami, Orlando, Tampa Bay, Ft. Lauderdale, New Orleans, Richmond, Charleston. Please feel free to contact us at 904) 738-8040 with any questions or comments.